Sligo singer songwriter Hugh O’Neill has completed the recording of an, as-yet untitled, new five-track EP that shows off his brilliant songwriting abilities, combining both his mellow acoustic style and his punchy pop/rock side. 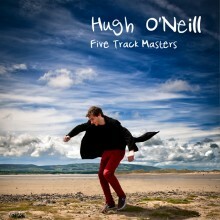 Absolute Music Management is to launch a new website as it ramps up its work with Sligo singer songwriter Hugh O’Neill. Designed to showcase both the company’s work and the talents of O’Neill, the site will include music, video and up-to-date news.